Amazing! A blend of ex-bourbon & Madeira casks rums aged 10 years. Bottled at 56%, but it's still smooth, soft, and subtle with a wonderful finish. Beautiful! Reviewed wrong product reviewed in error. I meant to review the Barbancourt Estate Reserve 15-Year, but I don't see how to delete a review. Stellar! Took more than 20 minutes for the big alcohol aroma to dissipate. I find this common with new bottles. That's not a detriment, just an observation. 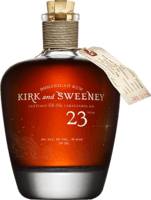 A wonderful rum! This is nicely done! Smooth and delicate with a tiny burn and a mild sweetness. Perfect amount of bourbon flavor too. Very Bajan for a Puerto Rican Rum A lot of similarities to the old Cockspur 12, but not many to Mount Gay XO. Dry, cinnamon spicy, with a touch of wood. It's Mount Gay! But at a higher alcohol percentage and mostly pot stilled. 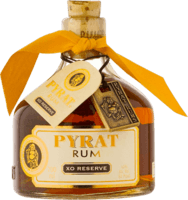 Classic Bajan rum- dry, bananas, caramel, leather, toffee, and delicious. Nice sipper Smooth fruity stone fruit and chocolate goodness. Well rounded, pleasing finish. The 15 is better IMO. Smooth This is solid, no frills rum. Not too spicy, a little dry, and not much burn. Short finish and lack of complexity keep it from scoring better. For all of your mixing needs Smoky, oily, nutty, somewhat floral. Really well done overproof. Well done No hint of bitterness, not too sweet, and works nicely with coffee. Enjoyable funk Sweet without being cloying. A tiki drinker MUST have. Nice! Very similar to the 2005, more wood, more char, more spicy, more caramel...Yet, I find the 2005 more well rounded. Honey sweet Wonderful nose with a light citrus aroma. Ron Miel is a very dark caramel color and the taste has a honey orange flavor. A nice after dinner treat. Well done spiced coconut rum Not my usual style of rum, but I can appreciate that this is well crafted. Good pina colada mixer. A good base. 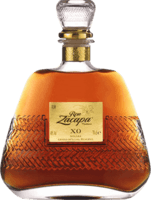 For the price, a solid rum that works well with most soda. Unrefined, but for a 4yo, no complaints. Very good for what it's supposed to be A bit syrupy without being cloying. Well done liqueur meant for mixing. It's solid Not over-spiced or sugared. 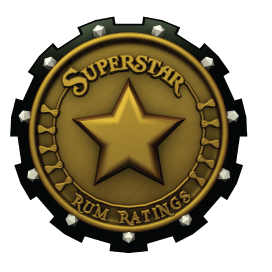 It is a fine subtle spiced rum for most mixed drinks. Good for an intro to Jamaica It's a middle of the pack rum. Unaltered, a little phenolic, and a touch of funk. Excels as a mixer Jamaican funk, a touch hot, but ok as a sipper. shines is cocktails. Solid as a mixer. Taste like a better version of Pusser's Blue Label. Lovely floral aroma But that's easily the best part. Cinnamon, grass, flowers, pepper, wood, A bit hotter than I expected, but still nice. mixer at best Not bad, not special.Funky Jamaican pot still type flavor. Not worth the price. Good for tropical drinks. Clean sharp rum. So clean that you will be surprised that it is rum. This rum will not mask other flavors in tiki style drinks. Too much vanilla A good mixer, but too much vanilla to have neat or straight up. odd Different, interesting... Cinnamon is somewhat overpowering. Astringent. Nothing wowing here Taste like every rum from the DR. I don't buy DR rum anymore because they don't do anything different. sugar test-25g! Better than the gold/claro But flawed. Wouldn't buy again. Still only a mixer. Good for what it is Nose- alcohol, sugar, coconut, vanilla. I read elsewhere cream soda and that is very accurate. Taste- smooth, sugar, coconut and some alcohol burn. Sweeetttt! As a rum it's a 3, as a rum liquor it's a 6. Sugar test - 41 grams. Ugh Sickly sweet and artificial tasting. Horrible stuff.